When I visited Osaka in the summer, I wanted to see something new. 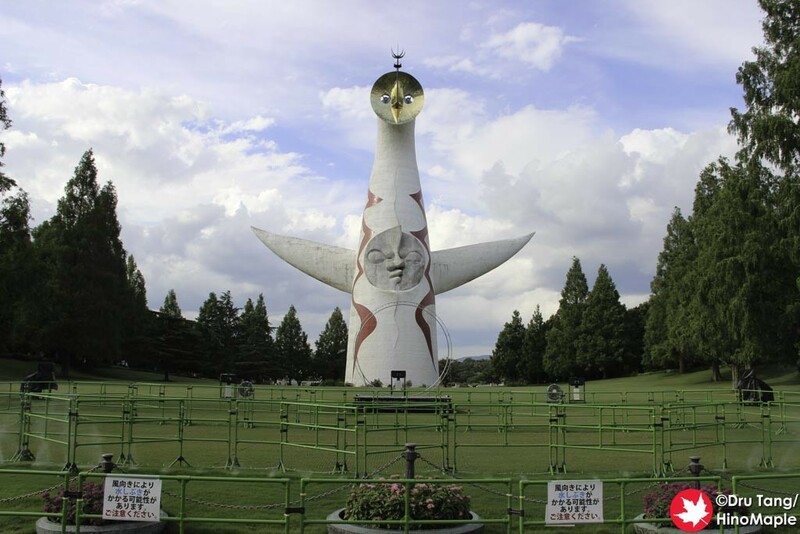 I had been interested in visiting the Expo ’70 Commemorative Park (sic) for only one reason, the “Tower of the Sun” by Taro Okamoto. I learned of this several times but it never really stuck until I started reading the Naoki Urasawa manga, “20th Century Boys”. While the Tower of the Sun was never a major focal point of the manga, it did help to date certain parts of the story within the overall arc and it served its purpose very well. 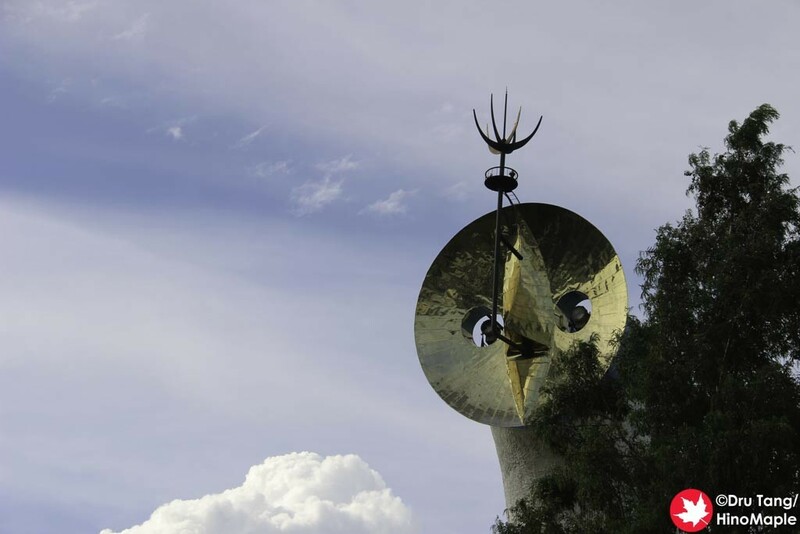 The Tower of the Sun is a very interesting piece. 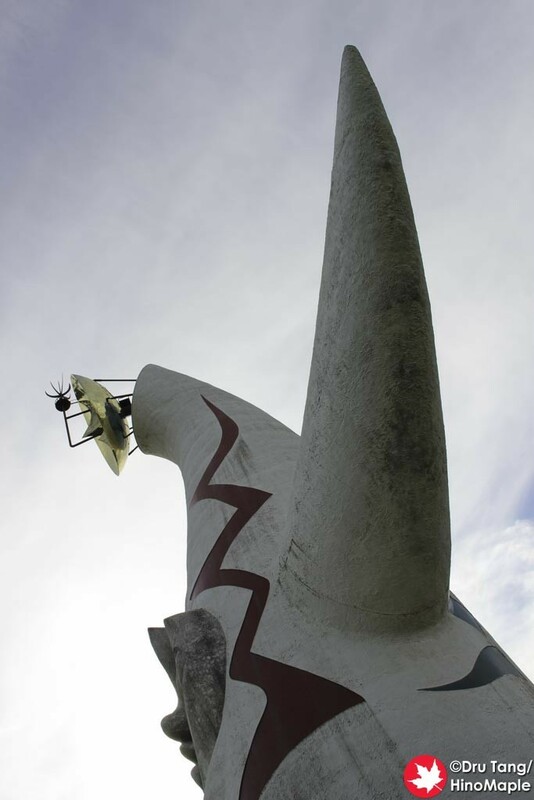 Located at the main entrance of the Expo ’70 Commemorative Park, you can easily see it as you approach the park. The best way to get there is to get to the Osaka Monorail and just head to Bampaku Kinen Koen Station. 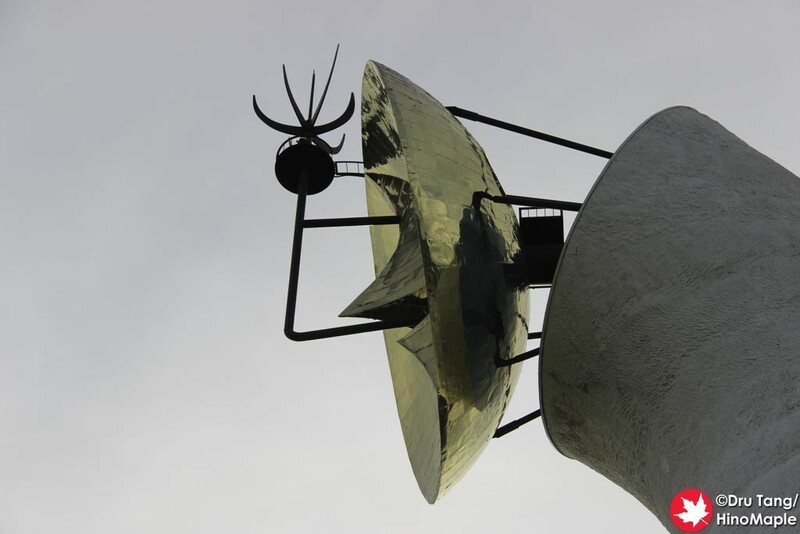 It is a short 5 minute walk from the station and there really isn’t a lot in the area. The park itself wasn’t too interesting to me and I was really short on time so I didn’t have a chance to look at most of the park. It also costs 250 yen to get in, which I wasn’t too happy about but since I had already been there, I figured I should at least pay the admission to see the Tower of the Sun up close. 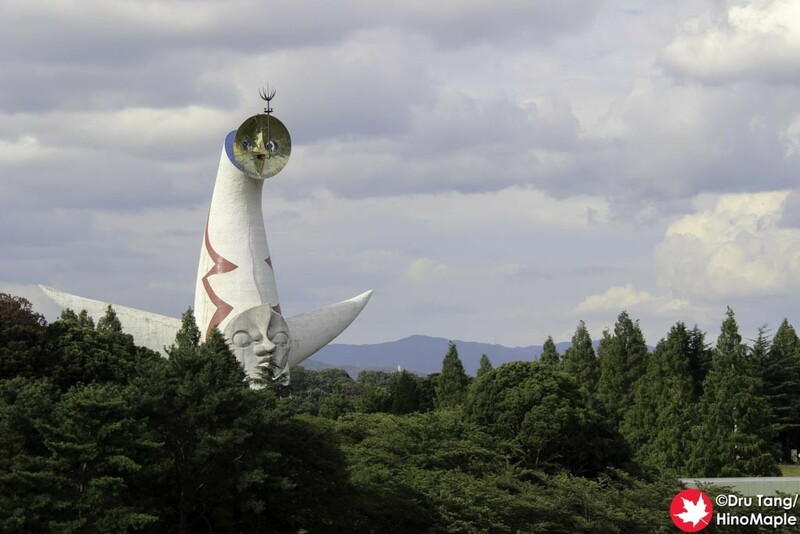 The Tower of the Sun was created by Taro Okamoto for the 1970 World Exposition in Osaka. In fact, as the name implies, Expo ’70 Commemorative Park is the old 1970 Expo grounds. It is a large area and I only had an hour or so to enjoy it. I really needed a whole day to see everything in the park, so I only managed to check out the Tower of the Sun and a few things in the surrounding area. 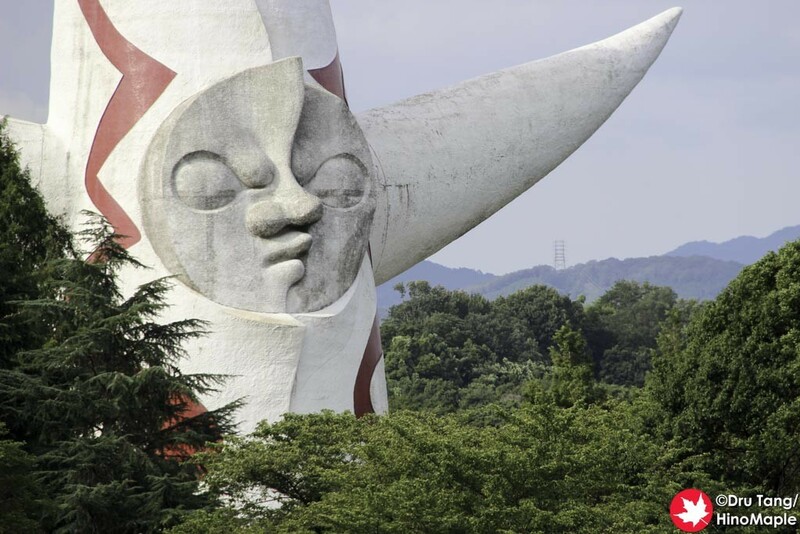 I really can’t say if 250 yen is worth a trip to the park or not, but if you only want to see the Tower of the Sun, it isn’t worth it if you ask me. 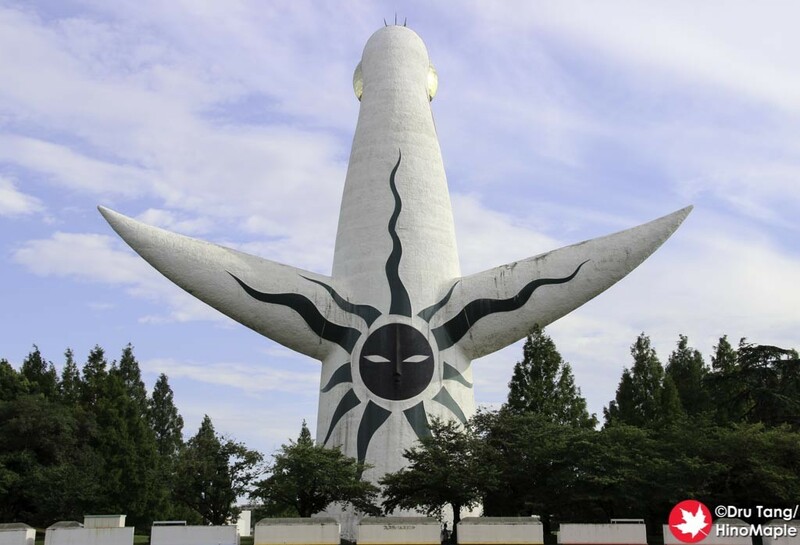 The Tower of the Sun is pretty large and very symbolic. From what I can understand, it wasn’t even called the Tower of the Sun until after it was built. During the 1970 Expo, there was a large roof structure built around it and only the top was visible. Today, it is exposed to its surroundings and at the end of a beautiful grass field. Simply put, it is a large tent with arms on the side and 3 faces. I won’t bore you with too many details but the 3 faces are pretty significant. The 3 faces represent the past, present, and future of humanity. The top is the golden mask which represents the future. This is a very nice “face” and easily understood to be the future the second you hear about it. Below that is the Face of the Sun. It appears to be 2 faces in 1, and it represents the present. Next to this are 2 jagged lines along the front of the sculpture and this is said to represent thunder. On the back is the Black Sun which is said to represent the past. I read that there was another Sun of the Underworld located in the basement of the structure but if Wikipedia is to be trusted, and it shouldn’t, then it is in a new location at the moment. 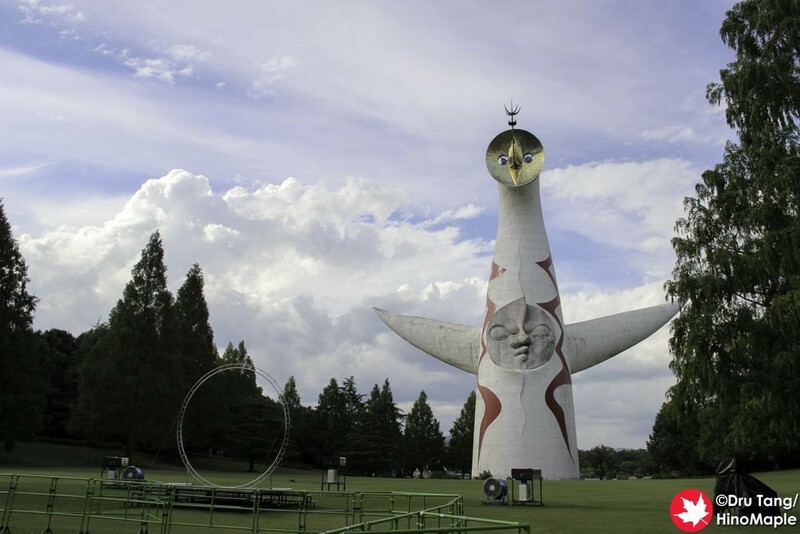 If you enjoy art and want to see something interesting, the Tower of the Sun is a great place to go. I heard that the interior is really interesting but it isn’t open to the public anymore, or at least when I went to visit. The 250 yen admission isn’t really worth it for just the tower but if you are visiting the entire park, it might be worth it. I am happy that I did go to take a look very quickly but I will probably never go back again. If you do go to the Expo ’70 Commemorative Park and really enjoy it, please let me know as I’m curious to know if I should try to go back again with a lot more time at hand. This entry was posted in Kansai and tagged 20th Century Boys, Bampaku, Bampaku Kinen Koen, Bampaku Kinen Park, Bampakukinen Koen, Bampakukinen Park, Expo, Expo '70 Commemoration Park, Expo '70 Commemorative Park, Expo 1970, Expo Commemoration Park, Expo Commemorative Park, japan, kansai, Naoki Urasawa, osaka, park, Sun, Taro Okamoto, Tower of the Sun by Dru. Bookmark the permalink.